Unless you’ve been living under a rock for the past ten years, surely you know of the Dead Space video game series. Along with the Resident Evil and Silent Hill series, Dead Space remains one of the most popular horror video games ever, and with good reason. With healthy nods to classics such as Aliens, Event Horizon, and Carpenter’s The Thing, the video game plays as though you’re an unskilled factory worker slammed in the middle of a David Cronenberg nightmare. The second game in the series is a definite nod to the Alien films, with long corridors filled with twisted turns revealing creatures from the deepest depths of your imagination. With only your wits and a series of upgradable ‘tools’ as weapoms, your character must fight through hordes of revived ‘necromorphs’ to survive. The conditions are dark, claustrophobic, and intense, and usually you spend your time working through the derelict ship running for your life. The enemies are relentless in their aim to destroy anyone who crosses their path, and strike without warning, unpredictable and merciless. Published in 2013, The Art of Dead Space by Martin Robinson is the ultimate Dead Space companion, and is a great reference for creating your own monsters. 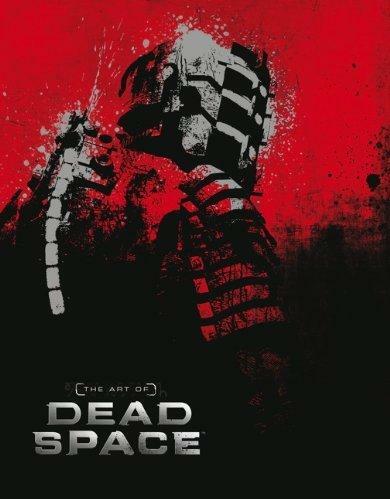 Featuring interviews with the creators and artists of the series, this massive volume contains over 300 images from the games, never before seen concept art, as well as art from the Dead Space animated films, and the graphic novels with art from such as artists as Christopher Sky and Ben Templesmith, all guaranteed to give you nightmares and fuel the imagination. All aspects of the game universe are covered, including designs for the main character Isaac, the derelict ship the Ishimura, the Marker, the Sprawl, and Tau Volantis, the frozen planet which is the main setting for Dead Space 3. Playing the game can be extremely motivational, but it’s hard to take in everything while running for your life with only a game controller in your hands to keep the monsters at bay. Sure it’s fun killing monsters in zero gravity, and one should never miss an opportunity to do so, but it’s good to have a point of reference that will allow you a more detailed look at the nightmares without working up a sweat, unless you’re prone to papercuts. The interviews are really cool, but let’s be honest; the art is why we’re here, and this book delivers. Literally every page contains awesome imagery that will no doubt seep into your mind and imagination. The necromorphs are some of the nastiest monsters ever created, and it’s exciting to see what the artists did to keep things interesting. These monsters were once humans, and alive. Now undead and changed, it’s like Romero and Carpenter hung out with Cronenberg with some good smoke … full tilt craziness. The Art of Dead Space is one book any writer of horror and weird fiction should have in their library, based on just the images alone. With all the concept art, imagery from the films and graphic novels, there’s no limits to what the imagination can offer. Definitely recommended for fans and writers alike.